Some times, things just don’t work out. It’s a fact of life. It’s certainly true in personal relationships, but it happens in business relationships as well. 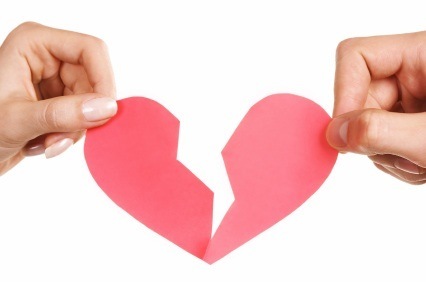 In the insurance world, there are two types: client breakups and carrier breakups. This can go down in two ways. The obvious example, and the one you’ve probably gone through yourself, is when the client breaks up with their agent. For whatever reason, things just weren’t working; you got bad service, you thought you were paying too much, your buddy just got his insurance license, etc. Bad service shouldn’t happen…in any insurance agency. After all, that’s what you pay your agent for: service. Sometimes, though, there is a simple miscommunication. Insurance is complicated (and something even many licensed professional still don’t understand), so hear your agent out and allow them to explain the situation. But, if you’re getting bad service, it may be time to reevaluate your relationship. Paying too much is all relative. Who wants to pay anything, really? But, the fact is, without insurance most of us could not afford a serious accident/disaster. But, price can be a tricky thing. All the ads on TV would have you believe that insurance is insurance is insurance. That’s simply not true. You may be paying too much, or maybe not. There is no such thing as “one size fits all” with insurance. Things like: claims history, traffic violations, coverage limits, insurance company, market conditions, etc can all factor into the overall pricing. Let your agent advise you as to what you should be paying. Dealing with an independent agent (one who deals with multiple instance companies) will give you the greatest ability to search the market without loosing your current relationship. Sometimes, though, the agent needs to be the one calling it off. As odd as that may seem, there are times when we, as agents, know that it’s not going to work. Whether its a difference in philosophies or personalities, sometimes we know that you would be better served with another agent. This is not an easy pill to swallow, for either party. But, if we know your expectations cannot be met with us, or if we disagree about the best coverage options, we may offer to assist you in finding an agent that ins more aligned with your wishes. The best way to end a relationship with an agent is to communicate with them. First, give them the chance to salvage the relationship. It’s certainly easier if the agent can remedy the issue at hand, and thus avoiding the headache of switching. If they can’t give you what you need, tell them so – politely. A simple, “I appreciate all you’ve done for me of the years, but my needs have outgrown what you can do for me.” We’ll get it, no hard feelings. Something that few consumers are aware of is how insurance companies and agents work out their relationships. Independent agents have the luxury of having multiple carrier contracts, so they can offer clients a variety of choices. Some independent agents have 1 or 2 companies, some have 50. JJ Wade & Associates has 35+. Each of these relationships must be managed and nurtured, just as clients relationships would be. And, sometimes, these too need to be ended. Recently, we went through a break up with a very well-known insurance carrier. The reason behind it was the company had made a poor decision on how to handle a claim. It was not in the best interest of our clients, and we eventually decided that we no longer felt comfortable offering this particular carrier’s products or services. While this is not an easy decision, it’s one that had to be made. You should ask your agent how often they evaluate their insurance company relationships and when they last terminated a contract. We do it every 3-5 years. It’s important that these relationships are working well. After all, if there is a claim, good luck to the poor person stuck in the middle of a bad carrier/agent relationship.